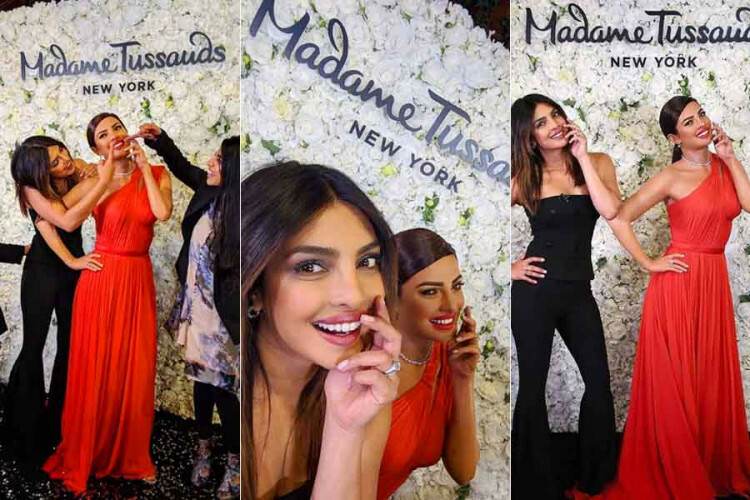 The Desi girl is got her first wax statue at Madame Tussauds in New York. Yes, you read it right. Priyanka Chopra, who got married last year to the singing sensation Nick Jonas, has got another feather added to her cap. The museum officials shared a video of Priyanka’s moment with her mirror image in New York. The wax statue is designed beautifully and to utter perfection that it resembles our Pee Cee exactly.